I have donated a painting to the Habitat for Humanity's auction, "Home is Where the Art is". I thought it was pretty appropriate for me to participate in the auction since they are trying to raise money to build houses and I paint houses! 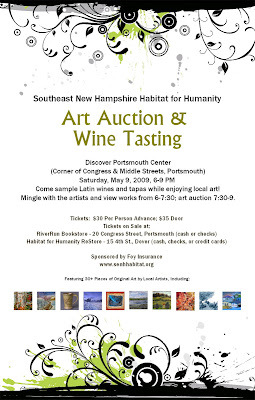 This auction is on May 9th and takes place in downtown Portsmouth.